Professor mr. dr. Ernst F. ten Heuvelhof (1954) is professor of Public Administration at the Faculty of Technology, Policy and Management at Delft University of Technology (DUT). He has been director of the Education of the faculty of Technology, Policy and Management of the Delft University of Technology since September 2011. 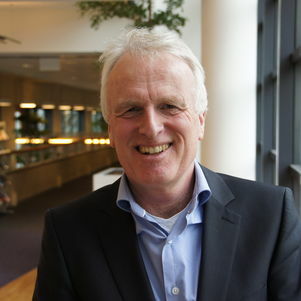 The Executive Board of TU Delft appointed Ernst ten Heuvelhof to take on the role of Director of Open and Online Education at the TU Delft Extension School from January 2014. Public administration, governance and process management. This research focuses on how actors – both public and private – who operate in networks and have diverse interests and different perceptions arrive at decision-making and implementation. He has published many articles and books in this context about governance models and process management, regulation and enforcement issues. He also publishes many articles and books in the field in collaboration with Hans de Bruijn. Liberalisation, privatisation and deregulation of infrastructure-based utilities (e.g. energy, telecom and transport). This involves issues such as strategic behaviour, the safeguarding of public values, regulation and quality. He has recently published articles about capacity management, strategic behaviour and market regulation. He has been scientific director of the BSik research programme Next Generation Infrastructures together with his colleague Prof. Margot Weijnen PhD. In this programme, a large number of knowledge institutions and companies from the world of infrastructure cooperate in research and innovation. He has developed MOOC (Massive Open Online Course) on the basis of this research program. The philosophy behind all his research is that it should be both familiar and useful to practitioners. He empathizes with these practitioners, taking their problems and dilemmas as the point of departure for his publications. Ernst ten Heuvelhof is a member of the Netherlands Institute of Government, the Dutch research school for Public Administration and Political Science, reaccredited by the Royal Netherlands Academy of Arts and Sciences. He has conducted contract research for a large number of ministries (the Ministry of Housing, Spatial Planning and the Environment, the Ministry of Transport, Public Works and Water Management, the Ministry of the Interior and Kingdom Relations and the Ministry of Economic Affairs), the Confederation of Netherlands Industry and Employers, Berenschot Consultants, local government, etc. Together with his colleague Hans de Bruijn, Ernst ten Heuvelhof is responsible for all public-administration education in the Technology and Public Administration Bachelor Programme and in the Systems Engineering and Policy Analysis, Engineering and Policy Analysis and Management of Technology master programs. He provides post-experience education for institutions including the Netherlands School of Public Administration), Neerlands Diep (Academie voor publieke bouw- en infraprojecten) and Erasmus Academy. His courses and training sessions are aimed at practitioners and deal with public decision making, operating effectively in networks, process management, regulation and enforcement, strategic behaviour, etc. His philosophy is to teach these courses at an academic level while offering the participating practitioners concrete action perspectives. Ernst ten Heuvelhof previously worked for a Chamber of Commerce for 2 years and for a firm of urban development consultants for 12 years.